Tomb Raider года повествует о пути становления знаменитой героини, раскрывая ее характер и позволяя проследить эволюцию ее личности. Это по-настоящему взрослая, проникнутая психологизмом история, которая держит в напряжении до самого финала. Стремительные схватки с врагами – и рукопашные, и с использованием оружия, возможность использовать укрытия, интересные головоломки, необходимость изучать окружающий мир, а также ролевые элементы, направленные на развитие способностей героини, – игровой процесс Tomb Raider разнообразен и увлекателен. Tomb Raider 3 - The Elixirof Life (для мобильника) 31 р. Shadow of the Tomb Raider - Fear Incarnate Gear Steam RU UA CIS 87 р. Shadow of the Tomb Raider - Classic Trinity Gear Steam RU UA CIS 87 р. Shadow of the Tomb Raider - Myth Hunter Gear Steam RU UA CIS 87 р. Shadow of the Tomb Raider - Force of Chaos Gear Steam RU UA CIS 87 р. Rise of the Tomb Raider - Season Pass 105 р. Shadow of the Tomb Raider - Croft Edition Extras 111 р. 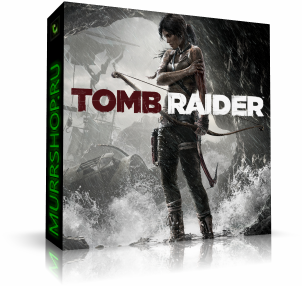 Shadow of the Tomb Raider - Croft Edition Extras|RU+UA 116 р.
Tomb Raider: Legend (STEAM GIFT / RU/CIS) 118 р.
Tomb Raider: Legend Steam Gift 119 р.
Tomb Raider IV: The Last Revelation (STEAM GIFT/RU/CIS) 119 р.
Tomb Raider VI: The Angel of Darkness (STEAM / RU/CIS) 125 р.
Tomb Raider V: Chronicles (Steam Gift | RU) 127 р.
Tomb Raider IV: The Last Revelation (Steam Gift | RU) 127 р.
Tomb Raider VI: The Angel of Darkness (Steam Gift | RU) 127 р.
Tomb Raider: Legend (Steam Gift | RU) 127 р.
Tomb Raider V: Chronicles (STEAM GIFT / ROW) 129 р.
Tomb Raider Legend (steam key) -- RU 139 р. Shadow of the Tomb Raider - The Grand Caiman Steam RU UA CIS 146 р. Shadow of the Tomb Raider - The Price of Survival Steam RU UA CIS 146 р. Shadow of the Tomb Raider - The Nightmare Steam RU UA CIS 146 р.
Tomb Raider (2013) [Steam Gift/RU+CIS] 159 р.
Tomb Raider (steam) + СКИДКИ 160 р.
Tomb Raider - Steam Key - RU-CIS-UA + АКЦИЯ 165 р. Shadow of the Tomb Raider - Deluxe Extras (Steam | RU) 179 р.
Tomb Raider (Steam Gift RU + CIS) 179 р.
Tomb Raider 2013 Ru 195 р.
Tomb Raider: Underworld (STEAM GIFT / RU/CIS) 199 р.
Tomb Raider GOTY Edition (2013) steam gift (RU+UA+CIS) 199 р.
Tomb Raider 2013 (STEAM KEY / RU/CIS) 199 р.
Tomb Raider: Anniversary (STEAM GIFT / RU/CIS) 199 р.
Tomb Raider: Underworld (Steam Gift | RU) 212 р.
Tomb Raider: Anniversary (Steam Gift | RU) 212 р.
Tomb Raider: Underworld ( Steam Gift | RU ) 219 р.
Tomb Raider: Anniversary ( Steam Gift | RU ) 219 р.
Tomb Raider Anniversary (Steam key) -- RU 233 р.
Tomb Raider Underworld (Steam key) -- RU 233 р. Shadow of the Tomb Raider Croft Ed. Extras Steam -- RU 241 р.
Tomb Raider (Steam key) CIS 245 р.
TOMB RAIDER - STEAM - 1C - ФОТО КЛЮЧА - ЛИЦЕНЗИЯ 249 р.
Tomb Raider (Steam ключ РФ+СНГ) 2013 250 р.
Tomb Raider GOTY Edition Steam gift (RU/CIS) + БОНУС 278 р.
Tomb Raider 2013 GOTY Edition (22 in 1) STEAM GIFT 279 р.
Tomb Raider GOTY Edition (Steam Gift/ RU + CIS) 285 р.
Tomb Raider GOTY Edition (Steam Gift/RU CIS) 299 р.
Tomb Raider 2013 (STEAM KEY / ROW) 299 р.
Tomb Raider GLOBAL KEY/ Region Free ( STEAM) 318 р.
Tomb Raider (Steam Gift | RU) 340 р. Shadow of the Tomb Raider - Deluxe Extras [Steam Gift|RU]  343 р.
Tomb Raider 2013 (ROW) - Steam Gift - Region Free 345 р.
Tomb Raider: Underworld (Steam Gift Region Free / ROW) 349 р. Shadow of the Tomb Raider Deluxe Extras (steam) -- RU 372 р.
Tomb Raider (steam key) -- RU 372 р.
Tomb Raider - СПЕЦИАЛЬНОЕ ИЗДАНИЕ (Photo CD-Key) Steam 399 р.
Tomb Raider (Steam Gift Region Free / ROW) 399 р.
Tomb Raider GOTY Edition |Steam Gift| РОССИЯ 415 р.
Tomb Raider GOTY Edition (Steam Gift Россия) 419 р. Rise of the Tomb Raider - Season Pass Steam RU 429 р.
Tomb Raider 2013 GOTY Edition (Steam, Gift, RU/IN/CIS) 444 р.
Tomb Raider GOTY Edition ( Steam Gift | RU ) 449 р. Rise of the Tomb Raider - Season Pass (Steam Gift | RU) 449 р.
Tomb Raider 2013 (Steam, Gift, ROW or RU/CIS?) 450 р.
Tomb Raider GOTY Edition (Steam key) -- RU 464 р. Rise of the Tomb Raider Season Pass (Steam key) -- RU 464 р.
Tomb Raider (Steam | Region Free) 478 р.
Tomb Raider GOTY Edition (ROW) (Steam Gift Region Free) 499 р. Shadow of the Tomb Raider - Season Pass 514 р.
Tomb Raider (Steam Key / ROW / Region Free) 530 р. Shadow of the Tomb Raider - Season Pass (Steam | RU+UA) 539 р. Shadow of the Tomb Raider - Season Pass (RU/UA/KZ/СНГ) 540 р.
Tomb Raider (Steam Gift, Region Free, ROW) + BONUS 549 р.
Tomb Raider GOTY Edition (ROW) - STEAM Gift Region Free 640 р.
Tomb Raider GOTY Edition (Steam Gift ROW / Region Free) 649 р.
Tomb Raider GOTY Edition (Steam Gift / Region Free) 670 р. Rise of the Tomb Raider: 20 Year Celebration (Steam) 690 р. Rise of the Tomb Raider (20th Anniversary Edition) KEY 725 р.
Tomb Raider 2013 GOTY - Steam Gift (ROW) 745 р. Rise of the Tomb Raider (Steam Key) 777 р. Rise of the Tomb Raider: 20 Year Celebration + Подарок 780 р. Shadow of the Tomb Raider - Season Pass [Steam Gift|RU]  849 р. Shadow of the Tomb Raider (Steam Gift/ RU & CIS) 880 р. Shadow of the Tomb Raider ( Steam Gift | RU ) 899 р. Rise of the Tomb Raider - Day One Edition (STEAM KEY) 899 р. Shadow of the Tomb Raider (RU/UA/KZ/СНГ) 899 р. Shadow of the Tomb Raider Season Pass 900 р. Shadow of the Tomb Raider - Season Pass (steam) -- RU 929 р. Rise of the Tomb Raider (20th Anniversary Edition) (Steam | Region Free) 930 р. Rise of the Tomb Raider (steam key) -- RU 948 р.
Tomb Raider (GOTY) (Steam | Region Free) 960 р. Shadow of the Tomb Raider: Season Pass (Steam KEY) 985 р.
Tomb Raider Collection (Gift ru\CIS) 1 000 р. Rise of the Tomb Raider 20 - STEAM Gift - (RU+CIS+UA**) 1 060 р. Rise of the Tomb Raider: 20 Year Celebr. |Gift| РОССИЯ 1 069 р. Rise of the Tomb Raider: 20 Year Celebration 1 079 р. Rise of the Tomb Raider: 20 Year Celebration (RU/СНГ) 1 099 р. Rise of the Tomb Raider:20 Year Celebr. (Россия) 1 104 р. Rise of the Tomb Raider™ (Steam Gift | RU) 1 105 р. Rise of the Tomb Raider (Steam RU KZ) 1 116 р. Rise of the Tomb Raider: 20 Year Celebration Pack Steam 1 144 р. Rise of the Tomb Raider 20 Year Celebration|Steam|RU+KZ 1 149 р. Rise of the Tomb Raider: 20 Year Celebration Steam RU 1 149 р. Rise of the Tomb Raider 20 Year Celebration -- RU 1 203 р. Rise of the Tomb Raider™ (Steam | Region Free) 1 272 р. Shadow of the Tomb Raider - Season Pass (Steam | Region Free) 1 567 р. Shadow of the Tomb Raider (Steam Gift,RU) 1 644 р. Shadow of the Tomb Raider (Steam Gift Россия) 1 649 р. Shadow of the Tomb Raider 1 660 р. Shadow of the Tomb Raider [Steam Gift|RU]  1 679 р. Shadow of the Tomb Raider (Россия + СНГ) 1 699 р. Shadow of the Tomb Raider |Gift| РОССИЯ + ПОДАРОК 1 699 р. Shadow of the Tomb Raider (Steam Gift | RU) 1 799 р. Shadow of the Tomb Raider (steam key) -- RU 1 847 р. Shadow of the Tomb Raider - Digital Deluxe Steam -- RU 2 145 р. Shadow of the Tomb Raider DELUXE✅КЛЮЧ + БОНУС 2 199 р.
CS-GO + DayZ + Tomb Raider + COD: BO + COD: MW 2 + 7 2 298 р. Shadow of the Tomb Raider CROFT✅КЛЮЧ + БОНУС 2 719 р. Shadow of the Tomb Raider Croft Edition (steam) -- RU 2 729 р. Shadow of the Tomb Raider (Steam | Region Free) 2 742 р. Shadow of the Tomb Raider UPLAY KEY GLOBAL 3 699 р.
Tomb Raider Collection (steam key) -- RU 4 440 р.